Image: VictoriaBee/iStock/Getty Images Plus/Getty Images. Earlier this month, U.K. supermarkets pulled frozen veggies from supplier Greenyard Frozen due to a listeria outbreak. Now, we've come to learn the U.S., Canada and 105 other countries also received the affected frozen vegetables. A total of 107 countries could be affected by the recall of frozen vegetables from the brand, which is a producer of fresh, frozen and prepared fruit and veggies, reports Food Safety News. So far, 47 people in five European countries have fallen ill, and nine people have died. 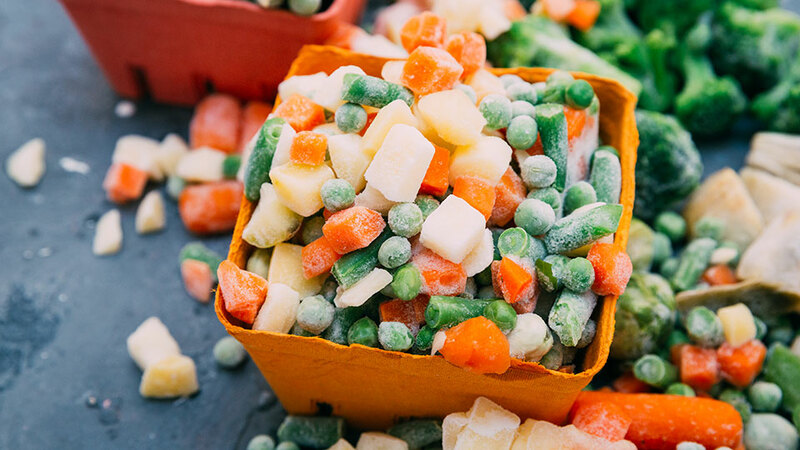 Hungarian Food Chain Safety Office banned all frozen vegetable and frozen mixed vegetable products produced by the facility on June 29. You can find the full list of 43 affected products on the Food Standards Agency's website. "Some countries have reexported some of the products imported to other countries," a spokesman for the International Food Safety Authorities Network told FSN yesterday. "Some have received and reprocessed original products into other products under different brands. All this is contributing to making the traceability and recalls more complex." Both the International Food Safety Authorities Network and the European Commission are involved in this large-scale recall. The items subject to recall were produced in Greenyard's Hungarian facility in Baja between Aug. 13, 2016, and June 20, 2018. Aside from the U.S. and Canada, recalled products were also sent to Afghanistan, Angola, Azerbaijan, Bahrain, Belgium, Chad, Egypt, France, Georgia, Germany, Ghana, Gibraltar, Greece, Hong Kong, Ireland, Israel, Italy, Latvia, Luxembourg, Maldives, Mali, Malta, Mauritius, Netherlands, Nigeria, Norway, Poland, Portugal, Singapore, Spain, Switzerland and the United Arab Emirates. According to FSN, it's believed the outbreak began in 2015, with the most recent case of illness reported in May, bringing the total up to 18 cases reported this year alone. Greenyard announced it will close and conduct a review of its plant as well as source alternative supplies. "We have closed our plant in Hungary and have been conducting an in-depth review of the plant with a view to identifying the root cause of the contamination in full cooperation with the respective authorities and in dialogue with the customer," a statement from Greenyard officials reads. "We will not restart production in our Hungarian facility until we are fully satisfied with the results of these tests, for which we are working in continuous cooperation and consultation with the local authorities and following the European guidelines." Australian authorities identified a fatal listeria infection in their country linked to the outbreak in Europe, FSN reports. But because the person died, they said they can't confirm if the death is linked to the frozen vegetables or a preexisting illness. Greenyard estimates the cost of the recall at $35 million, which includes the costs for the product transportation, handling, storage, destruction, subcontracting, lower cost absorption of the factory and loss of margin.